Toronto artists Ramon Perez and Chip Zdarsky have put a Canadian spin on Marvel's Civil War series. 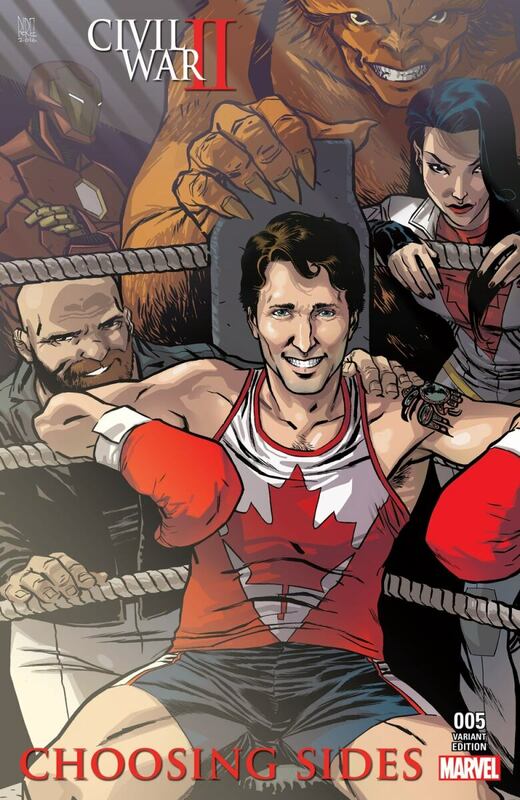 Alpha Flight - the Canadian answer to The Avengers, is back and they're looking to Prime Minister Justin Trudeau for guidance. In the new Marvel comics series, Civil War II, artists Ramon Perez and Chip Zdarsky (aka. Steve Murray), have the superhero team seeking out the PM when navigating the murky waters of surveillance. 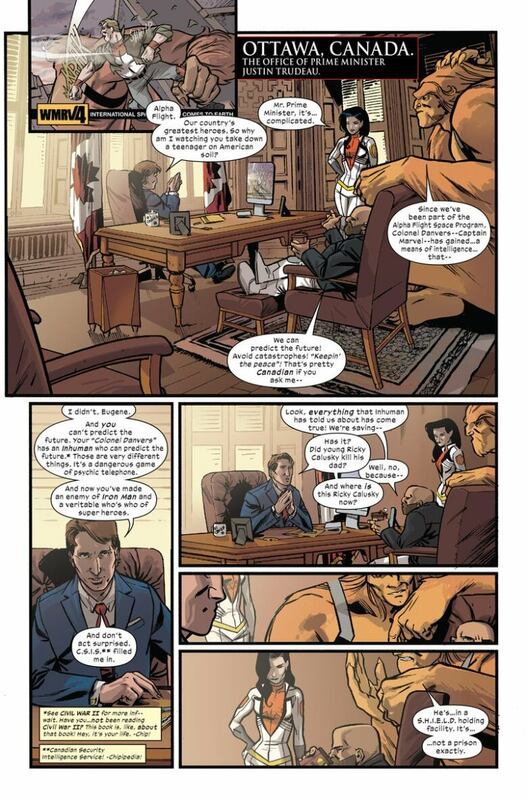 And Trudeau's not just a cameo - he's a full-fledged character in issue #5 of Civil War II: Choosing Sides. Giving him the comic treatment was like coming full circle for the Torontonian artisitc duo. "I got to read the father's story and now I get to draw the son's," Perez says to guest host Candy Palmater in studio today. Not only is Trudeau dispensing advice, he throws some punches too. Yeah, that's right. 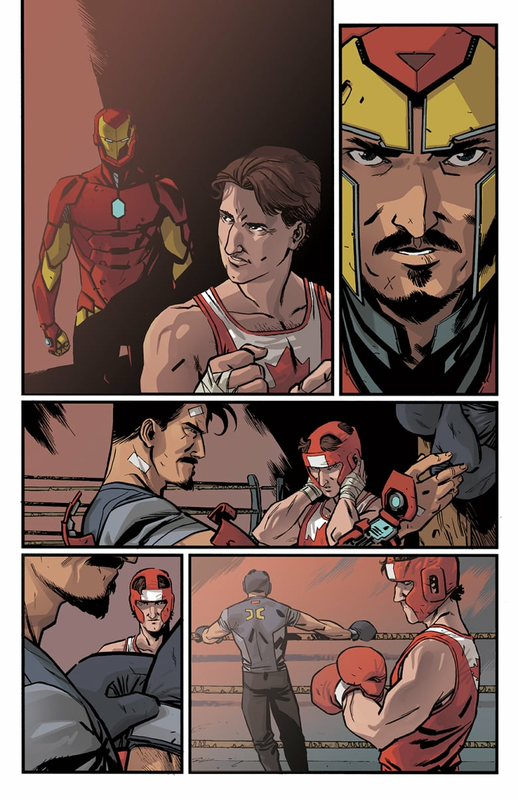 Our PM gets into the boxing ring with Tony Stark. "I'm a dreamweaver here," says Zdarsky. WEB EXTRA | Justin Trudeau's got both brain power and brawn in Marvel's Civil War II: Choosing Sides. 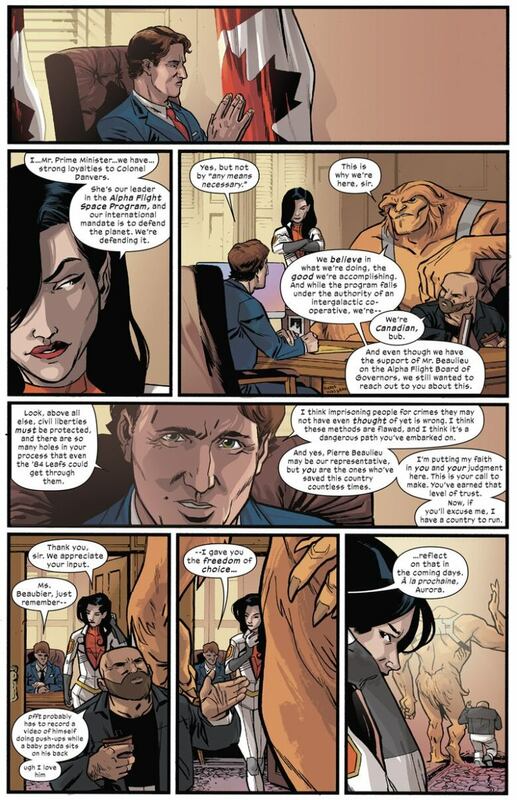 Here are some sample pages from the Ramon Perez and Chip Zdarsky's comic series.